On January 13-17, 2018 the sixteenth Plant and Animal Genome Conference (PAG) took place in San Diego, USA. 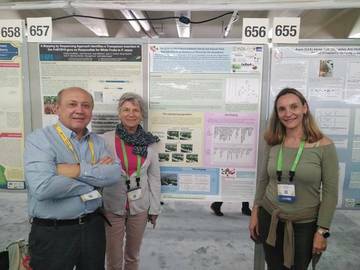 The PAG is the largest Ag-Genomics meeting in the world with more than 3,000 leading genetic scientists and researchers participating. 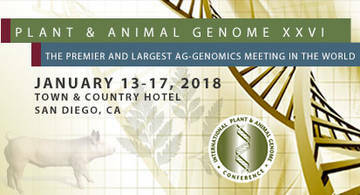 It is designed to provide a forum on recent developments and future plans for plant and animal genome projects. Bruno Mezzetti of the Università Politecnica delle Marche (UPM), Beatrice Denoyes of the Institut National de la Recherche Agronomique (INRA), Iraida Amaya of the Andalusian Institute of Agrarian and Fishing Research and Training (IFAPA) and Miguel Ángel Botella of the Universidad de Málaga (UMA) have been representing GoodBerry at this internationally renowned conference. The conference was an excellent opportunity for GoodBerry to increase its visibility and to exchange ideas and applications with other internationally important projects on related fields.